The Microsoft Community Contributor Award seeks to recognize notable contributions to Microsoft online community forums such as TechNet, MSDN® and Answers. The value of these resources is greatly enhanced by participants who voluntarily contribute their time and energy to improve the online community experience for others. Each day around the world, Microsoft Community Contributor Award recipients contribute to Microsoft online technical communities in a range of ways, including providing helpful answers, translating online resources into local languages and serving as moderators. 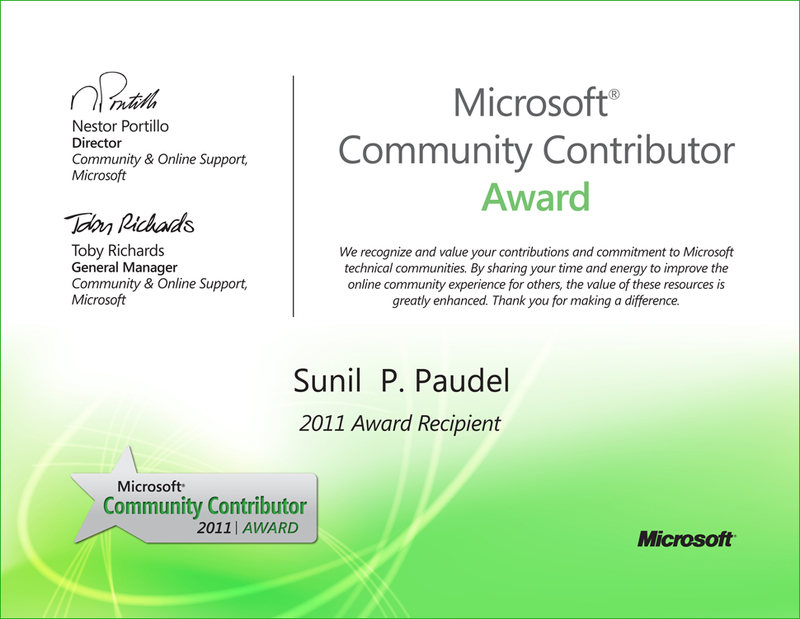 Below is the Microsoft Community Contributor Award provided to me by Microsoft.